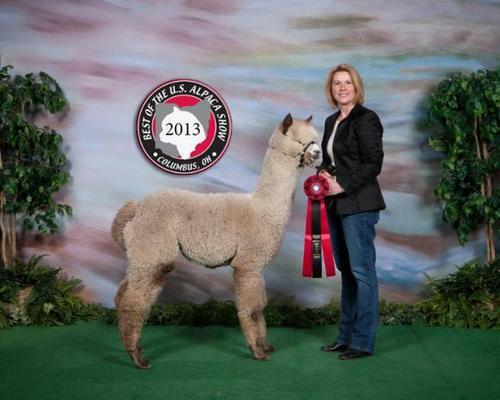 UPDATE: DUKE TAKES 1ST AND HIGHEST SCORING HUACAYA AT THE 2013 ROYAL ALPACA CHALLENGE SPIN-OFF AT 5 YEARS OF AGE! 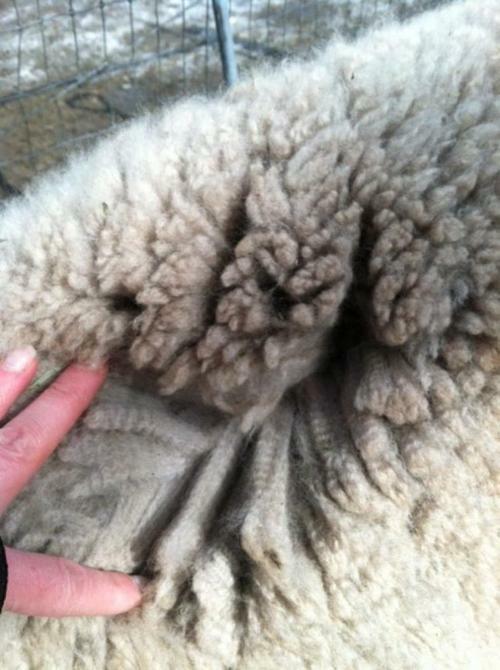 DUKE OF WAKEMAN TAKES JUDGES CHOICE OUT OF 114 ENTRIES AT THE 2011 EMPIRE FLEECE SPIN-OFF! INCREDIBLE FEAT FOR A DARK BROWN, BREEDING MALE! Savannah is a gorgeous grey female. She is a big, solid girl and will be a great breeder and birther. Savannah is a standout in the herd, with her beautiful color, her fine, dense fleece and her incredible conformation. She has solid bone, a typey head and good bite. Savannah comes from the great bloodlines of Quasar including Shaquille, Peruvian Leon, and Silvio. We are celebrating another blue ribbon from 2016 AOA Nationals! We are excited to be offering this gorgeous rose grey male out of Starlings Savannah Rose, a daughter of our herdsire, Quasar, and Duke of Wakeman, an Accoyo Michelangelo son. 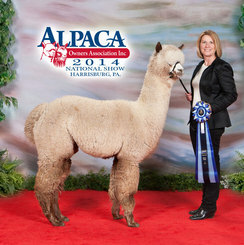 Duke crias have been phenomenal with many Color Champion and blue ribbon winning crias. Match him with a Quasar daughter and Court Jester is a magnificent looking animal. CJ is a big boy weighing in over 20 pounds when born. His color is light rose grey and he is simply stunning. His look draws you in and then the density jumps out at you. 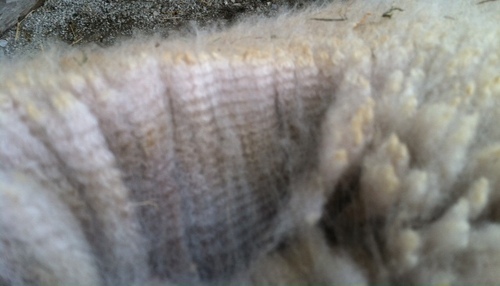 Part his fleece and the individual, long staples open up easily to a very mature crimp structure. We had several people including the judge approach us after the last show to comment on how nice CJ looks. 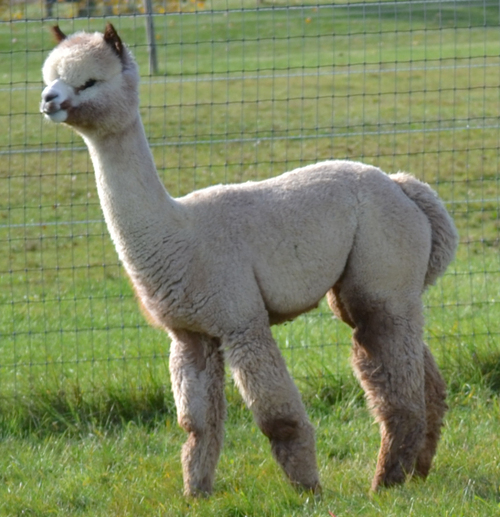 This is Duke of Wakeman's only grey cria so far. Duke and Quasar's offspring are much sought after and CJ will be no exception. This boy may be just what you need for your next big step. Call us or stop by our farm to see CJ. 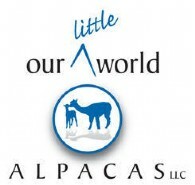 CJ is owned by Jacki Kraft of Starling Farms and resides at Our Little World Alpacas. 2nd Place, 2013 Best of the U.S.